Mongolian Beef – homemade, healthy, the best Mongolian beef recipe that is a zillion times better than Chinese takeouts and PF Chang’s. Mongolian beef is probably one of the most popular Chinese beef dishes at Chinese restaurants or takeout, perhaps right after broccoli beef. 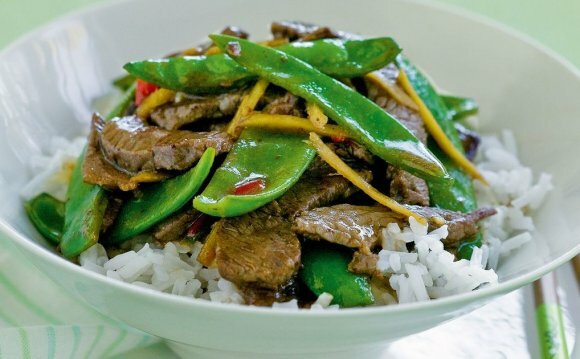 Mongolian beef is not a traditional Mongolian dish. I am not sure about the origins of this recipe but Mongolian beef is delicious, with silky and tender beef in a rich and savory Chinese brown sauce. Yum. To make the best homemade mongolian beef, you need to master a couple of techniques. First, you need to marinate the beef with cornstarch and soy sauce. This step is called velveting in Chinese cooking, and will make the beef, tender, juicy, moist and silky. Secondly, the brown sauce shouldn’t be too sticky and gooey. My Mongolian beef recipe is very close to the taste of PF Chang’s Mongolian beef, it’s savory, slightly sweet, with melt-in-your-mouth beef. It’s also healthier, less greasy, with a sauce that is just nice with steamed white or brown rice.